A scathing audit released on Thursday, May 31 reveals widespread waste, fraud and abuse by state government officials at the Louisiana Highway Safety Commission. The investigation highlighted fifteen “areas of concern” including unauthorized travel expenses, excessive overtime, abuse of federal & state dollars and improper record-keeping. After reviewing the audit, Louisiana State Police found that there was “not sufficient evidence” to pursue criminal charges. The DPS audit covered a time frame between July 2016 and August 2017. 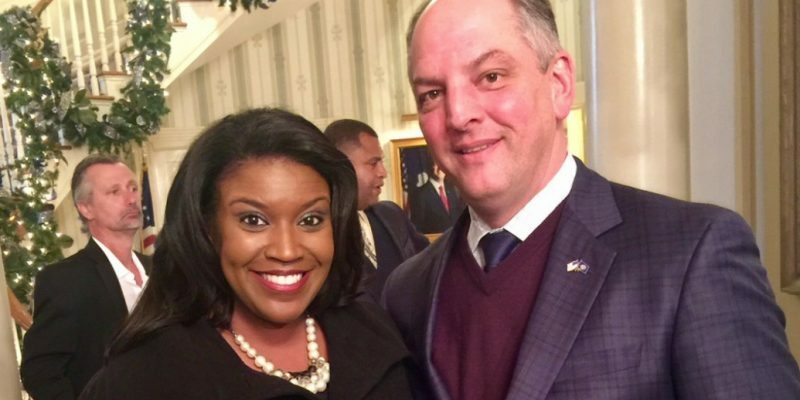 Katara Williams was head of the agency during that time period and was appointed by Governor John Bel Edwards before being quietly replaced by Lisa Freeman ahead of the scandal. Williams is now reportedly employed by the Southern University System. According to The Advocate, Ms. Williams disputed several of the auditors findings and even sent a formal response to the state requesting that some of the allegations be left out of the final report. Annual salaries and employee benefits accounted for more than 85% of the agency’s expenses. Excessive overtime was highlighted on the part of Williams’ executive officer, Dwayne Grant. He claimed more than 226 hours of overtime without proper documentation. Mr. Grant even claimed to work more than 80 hours a week for four straight weeks. In addition, travel expenses and car rentals were submitted without proper documentation and beyond federal limits even including some “late night Uber charges”. Last but not least, in a Hillary-esque revelation, the audit found that some employees shredded certain documentation without proper authorization. An attorney for the former director refuted the accuracy of several allegations and claimed that “pervasive issues” existed prior to her hiring. Director Freeman says changes have been made. This utter embarrassment to the state is just one of many examples that without proper oversight, government agencies can easily turn into a free-money program where so-called officials steal taxpayer money and further complicate the need to cut excessive spending. While Governor Edwards spends his time twisting arms for tax increases, he should be rooting out wasteful government spending.